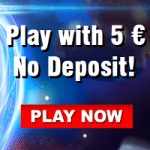 There are some great news for our Energy Casino players: just opened has been the Live Casino! With this moove builds the casino its market presence further out and even more players will join the casino. The Live Casino is provided by Extreme Live Gaming, one of the most established companies in the scene. That guaranteed also a very good live stream quality, some unique features and more variations of the most famous table games. Since Extreme Live Gaming in 2013 has been founded, is the company an integral part in the online casino industry. The Live Casino belongs to the Novomatic Group of Companies and delivers product to many famous online casinos. With the entry into the Energy Casino is another big name on the list. Beside the classic table games provides Extreme Live Gaming the famous Novoline live games. The most famous one is Raroulette, but also Dolphins Roulette or Luck Lady’s are very loved by the fans. In addition there are the specially developed game variations: Golden Ball™, Baccarat Squeeze™ and Blackjack X-Mode™ und Jackpot feature. By the way, players can use the interactive feature, which alouds them to chat either with the dealer or with the other players on the tables. Players can also play for free!